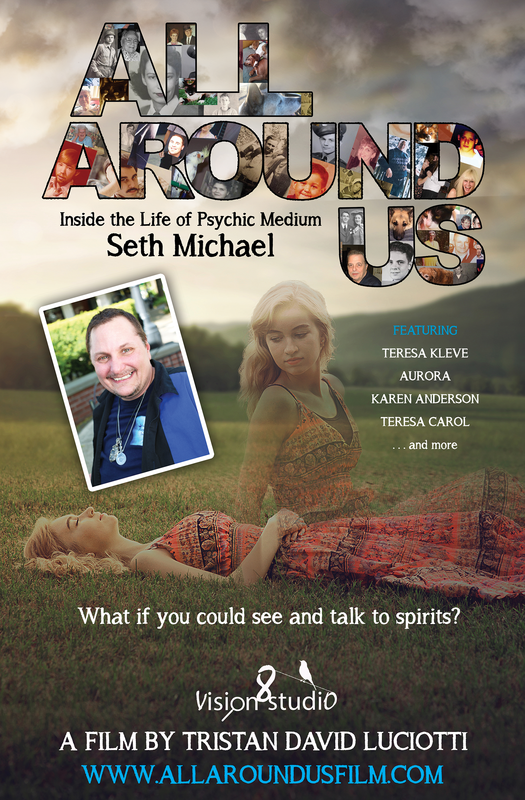 All Around Us: Inside the Life of Seth Michael is the first part of a trilogy. Seth is the primary focus of this documentary - think of him as your host. But, he's not alone. We will travel across the Pacific Northwest to visit his friends who are also included in this spiritual adventure. You will see special interviews with: Animal Communicator Karen Anderson and Psychic Mediums Teresa Kleve, AurorA (Sharon Lewis), Teresa Carol plus several others. This is the untouched reality of life as a psychic medium and many questions will be answered. You will walk away from this documentary knowing it wasn't a Hollywood production for entertainment purposes. Get to know the struggles you face and also the blessings you receive as you help bring healing to both the living and those who have passed on. Learn about the different types of spirits and even watch "spirit counseling" first-hand. This film will cover numerous topics and also take you back through Seth's life into early childhood. You will get to take a peek at the Oregon Ghost Conference in Seaside, OR and experience some paranormal outings with White Light Paranormal Insight. Get up close and personal with Seth with his personal video diary. You'll also hear stories and real accounts, including testimonials, from people like you and me. You'll hear from the believers, the skeptics and those in-between. ​This is a film you will not want to miss!